The female spectator who knocked down Pope Benedict at his Christmas Eve Mass in St Peter's Basilica attempted the same thing in 2008. Vatican officials have named her as 25-year-old Susanna Maiolo and said she held dual Swiss and Italian nationality. 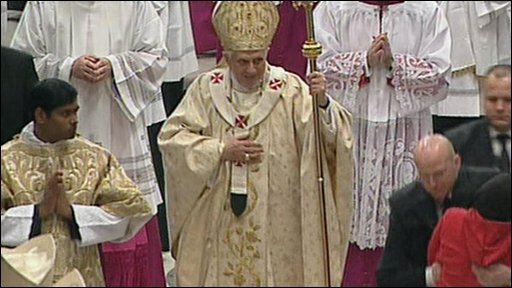 Security officials managed to restrain the woman before she reached the Pope in 2008.